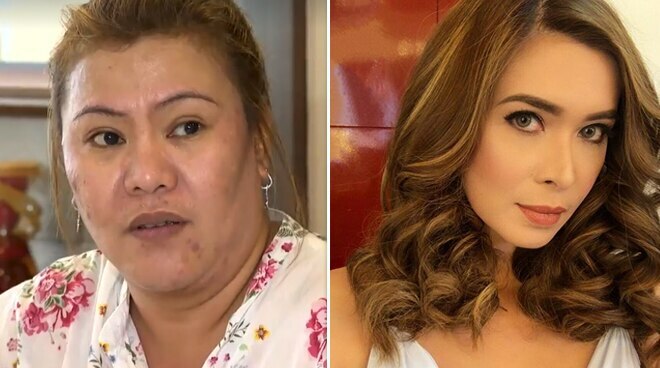 In her most recent Instagram post, Sunshine Cruz answered allegations of business woman Kathy Dupaya, whom she and several showbiz personalities are suing for swindling them of their money. Dupaya, who is based in Brunei, explained her side in an interview with ABS-CBN News and emphasized that she is most disappointed in Sunshine, whom she treated as a close friend. “Ang pinakamasakit po sa'kin dito sa lahat ay si Sunshine Cruz po, dahil siya po ang BFF ko, araw-araw nakikita ko. Araw-araw, hindi ko po ineexpect na ilalaglag niya ako sa kabila ng lahat. Noong walang wala siya, ako po ang ka-text niya,” she said. “Dinala ko siya sa Europe, dinala ko siya sa Singapore, balik-balik siya sa Brunei. Lahat ng luho niya, shopping niya, lahat! Kahit sinong kaibigan niya walang gagawa sa kanya niyan,” the business woman added. Sunshine in her post nine hours ago, explained her side of the story saying she was hired to perform in events by Kathy and she insisted on giving gifts to the actress. The mother of three also explained the trips she took with Kathy abroad. "Paris, yes you took me there. I was of course grateful and in return I gave you an authentic Gucci antigona bag because I always believe na ang friendship ay give and take. You left me alone in Paris after a day and I stayed with my sister for two weeks because she's based there. Singapore, yes you brought me there for two days but I hardly saw you kasi nasa casino ka and you did not want me to watch you," Sunshine elaborated. She also pointed out to Kathy that she can buy anything she wants on her own and doesn't need her to finance those things. "Mrs. Dupaya, kung meron akong gusto o luho, kaya ko bilhin at hindi ko sa 'yo iaasa. Gifts are gifts, sabi mo nga at utang ay utang. Lagi mo sinasabi sa akin/sa amin yan. To cut the story short, 'wag mo palabasin na ginamit o pinerahan kita dahil di ka maiiyak o masasaktan ng ganito if I was not a good friend to you. Kaya lang sana di mo ako sinaraan at nag-focus ka sa issue."